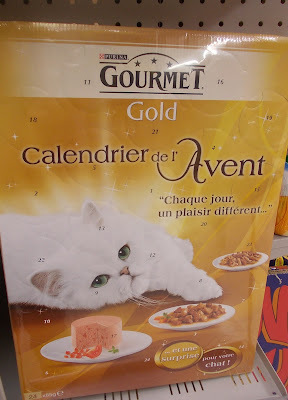 It says, "Each day, a different pleasure." 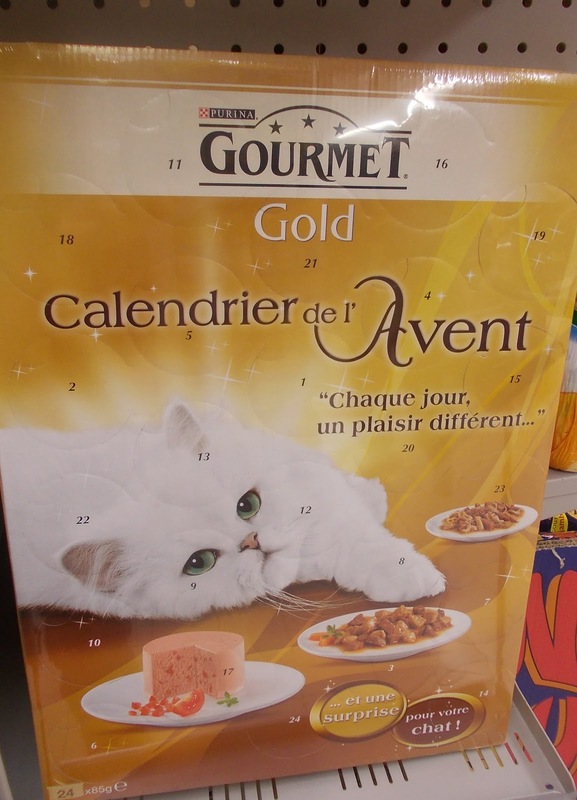 And how much will this treat-a-day for your feline friend set you back? A whopping 9.90€! I was puzzled about something: with France being such country of dog lovers, why didn't the store have an equivalent holiday gift for les chiens?